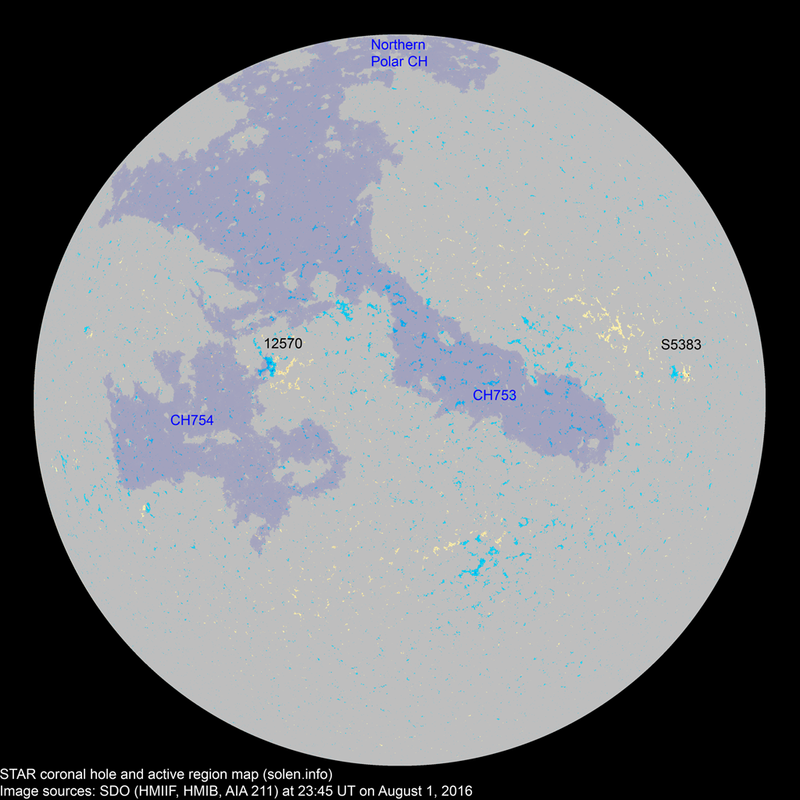 Last major update issued on August 4, 2016 at 04:05 UT. New SDO imagery is currently unavailable. 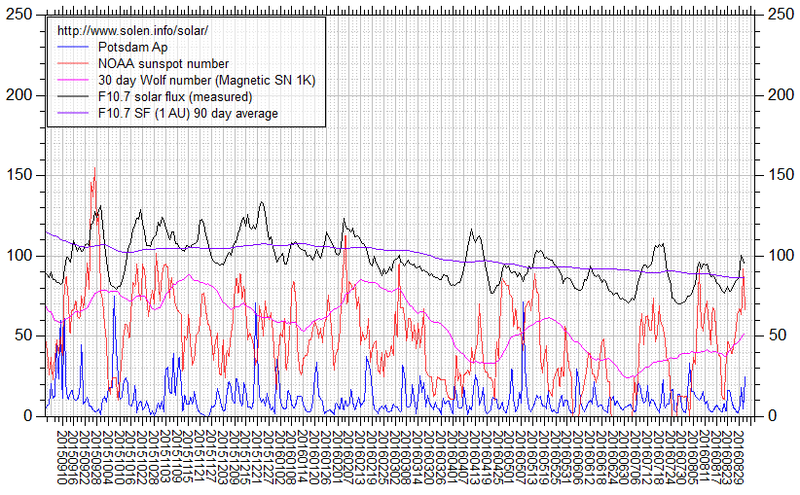 The geomagnetic field was quiet to minor storm on August 3 under the influence of effects related to CH753. Solar wind speed at SOHO ranged between 412 and 556 km/s. 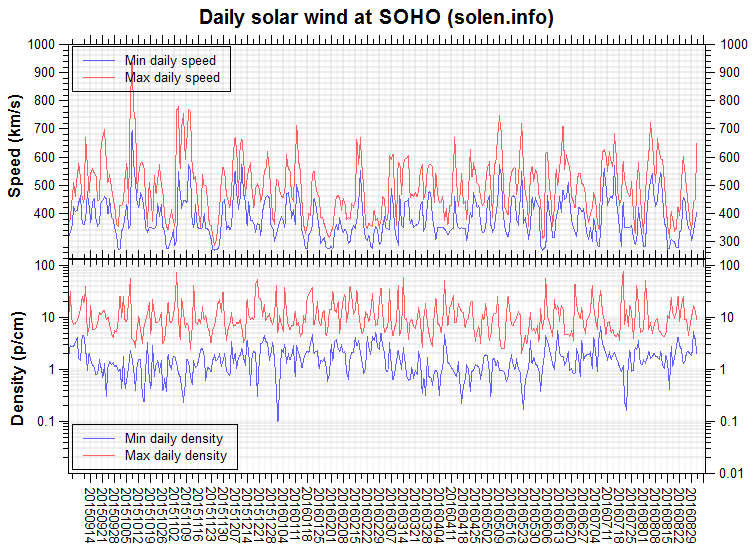 Solar flux at 20h UTC on 2.8 GHz was 74.8 (decreasing 8.5 over the last solar rotation). 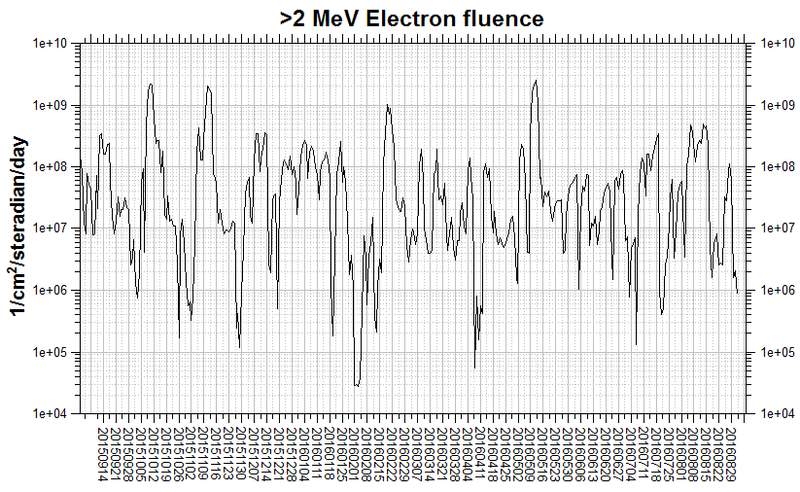 The 90 day 10.7 flux at 1 AU was 89.0. The Potsdam WDC planetary A index was 29 (STAR Ap - based on the mean of three hour interval ap indices: 29.1). Three hour interval K indices: 54454532 (planetary), 44554422 (Boulder). The background x-ray flux is at the class A9 level. 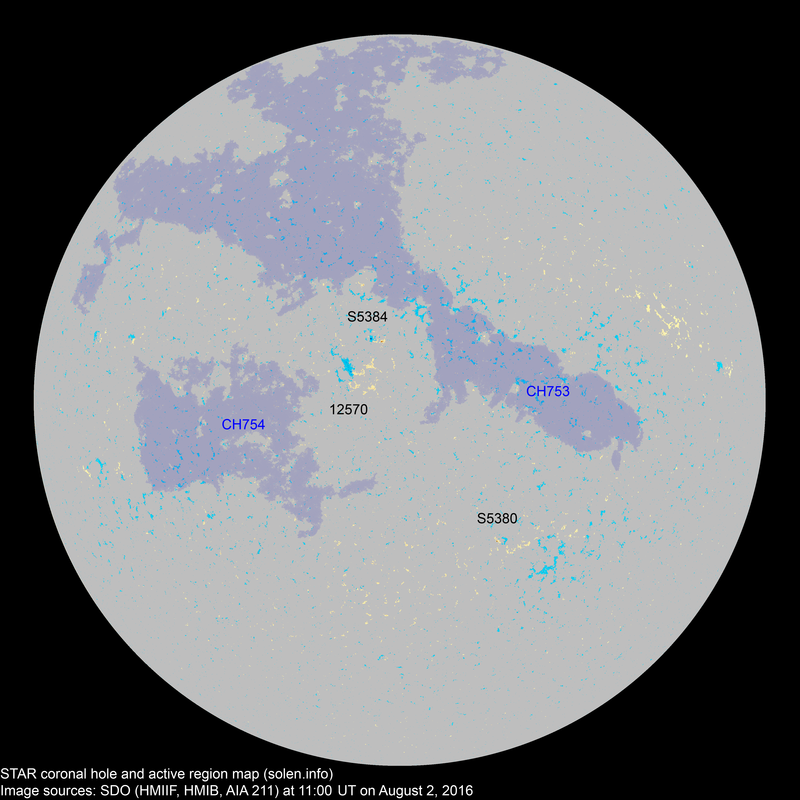 Sunspot data is awaiting the availability of SDO images. 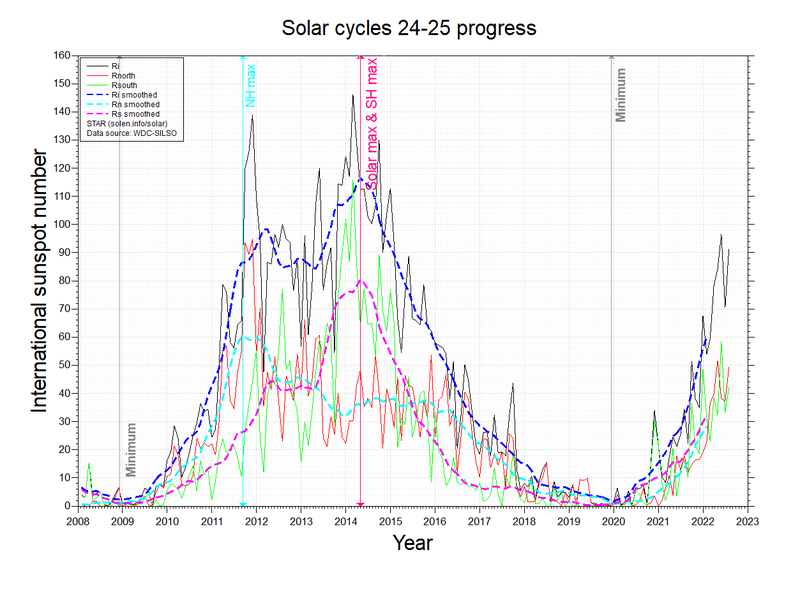 July 31 - August 2: No obviously Earth directed CMEs were observed in available LASCO imagery. 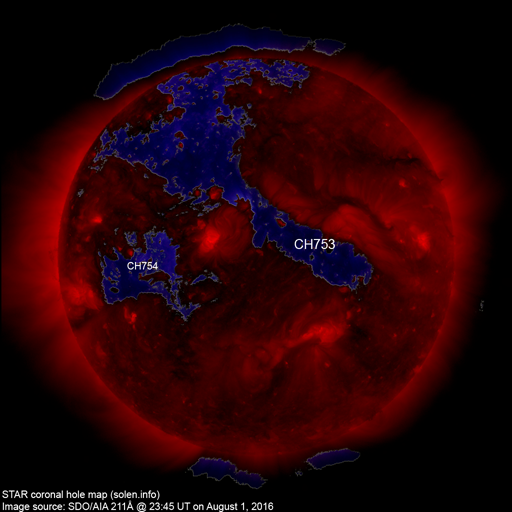 A large recurrent trans equatorial coronal hole (CH753) was in an Earth facing position on July 30 - August 3. A recurrent trans equatorial coronal hole (CH754) will probably become Earth facing on August 3-4. Long distance low and medium frequency (below 2 MHz) propagation along paths north of due west over upper middle latitudes is poor. Propagation on long distance northeast-southwest paths is fair. 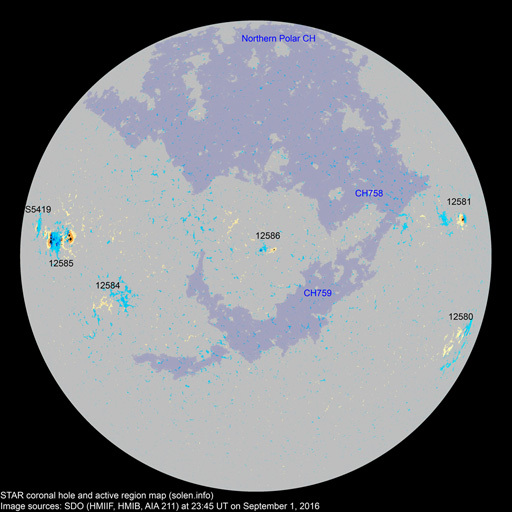 The geomagnetic field is expected to be quiet to active on August 4-5 due to effects from CH753 while a disturbance associated with CH754 could cause quiet to active conditions on August 5-7.